We are excited to announce the California Premier Tour of The Penalty from September 17-21! 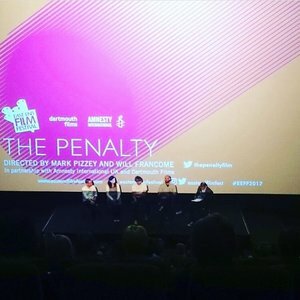 The Penalty will tour California, from the Bay Area down to Los Angeles, Orange County, and San Diego, with six screenings in five days. At each stop, co-director Will Francome and producer Laura Shacham will join local criminal justice reform advocates to discuss the ways in which the death penalty system brutalizes everyone it touches. Don't forget to RSVP on Facebook for additional details and special guest announcements. Once you do, please help us by sharing the events far and wide. And please forward this email to anyone who may be interested! For those of you not in California, we are in the midst of organising more screenings and if you'd like to get in touch to find out how you can HOST YOUR OWN screening, we'd love to hear from you. And for all our wonderful kickstarter backers waiting for digital downloads, we'll have more news for you soon too as our online plans come together. Thank you for your patience: we are looking forward to sharing the finished film with you all soon. Today we're really excited to reveal some new artwork for the film. We've worked with David Young yet again and are really happy with the final poster for our film. We've got a new trailer for the film. Check it out here! We're very excited to announce that in 2018 we'll be taking The Penalty on tour around the US, starting with a week long tour of Ohio from the 22nd-28th of January. Ohio currently has over 25 executions scheduled up to 2022 with the next one scheduled for just a few weeks time on February 13th. After the last attempted execution ended in disarray, there couldn't be a better time to take this film around the state. We've teamed up with Ohioans to Stop Executions and The Inter-community Justice and Peace Centre to put on 9 FREE SCREENINGS around the state. Each screening will be followed by a talkback session with the film's co-director Will Francome and special guests, plus the opportunity to take action. For those of you in Ohio, or who have friends or family in the state, go to this link to reserve your free tickets. If you're not in Ohio - don't fear - there will be more screenings this year, with multiple state tours and one-off screenings. 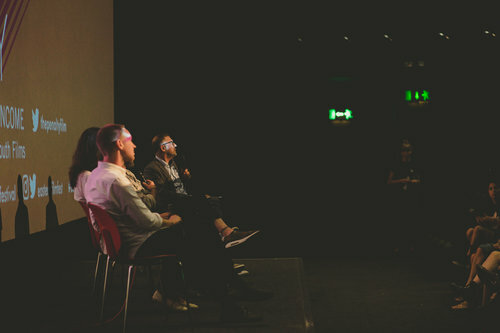 If you're interested in helping to host a screening, please do get in touch with laura@reelnice.co.uk. We're looking forward to meeting many of you in person in 2018 and bringing this film to you all. We're delighted that The Penalty will have its French premiere at the Paris Human Rights Film Festival on Wednesday 6th December, 7:50pm, at l'Entrepot lieu des cultures. Our Producer Laura will be there for the Q&A, and in the excellent company of Sandrine Ageorges-Skinner, long-time friend of the project, anti-death penalty activist and wife of Hank Skinner, who is currently on death row in Texas. We are also indebted to Sandrine for her excellent translation of the film into French, allowing us to share it with francophone audiences all over the world. It was fantastic to see such a great turnout, and we thoroughly enjoyed the brilliant questions raised in the Q&A. Huge thanks to the Howard League Scotland and Amnesty Scotland for hosting, to Kate Nevens for the Q&A, and to all of you for coming! for all her work in putting the screening together. We are extremely excited to be bringing The Penalty to audiences at the Twin Cities Film Festival, the Jihlava International Documentary Film Festival and to Edinburgh in partnership with the Howard League Scotland. Co-director Will Francome will attend the screening in Minneapolis, producer Laura will be at the Jihlava showing and Laura and co-director Mark will give the Q&A in Edinburgh. If you know anyone nearby, please do share details of the screenings with them (click on the logos below for all the info), and watch this space for more screenings near you. The Penalty screens with the EU in Geneva! We had a great evening in Geneva as the EU, FIFDH & Amnesty International-hosted a screening of the penalty at the Musee de l'Ethnographie on Wednesday evening. The film's co-director was joined by one of the subjects of the film, Allen Bohnert from the Ohio Public Defender's office. 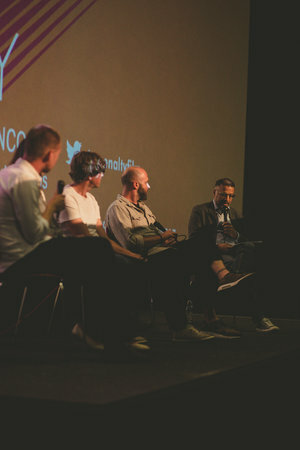 We thoroughly enjoyed the fascinating discussion, and felt really lucky to have such a fantastic audience. 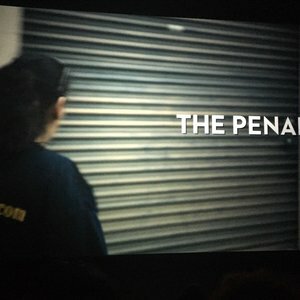 On June 30th, after three and a half years work, we were really happy to have the world premiere of our feature length documentary The Penalty at the East End Film Festival. We sold out all of our tickets in half an hour, so they twice had to allocate a different screen to accommodate the demand and it was a great night. We were joined after the film by Amnesty International, Reprieve and the Death Penalty Project to discuss the issues presented in the film. Thanks to everyone who came out and we're really excited to be bringing the film to a location near you soon. 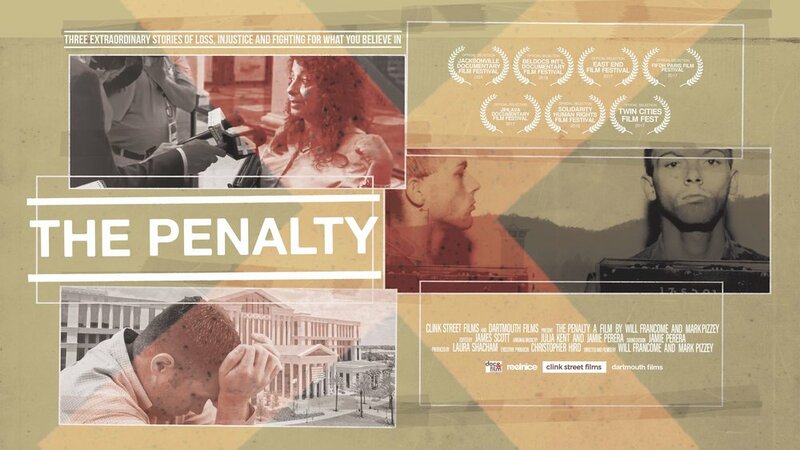 At long last, we're delighted to announce that tickets for the world premiere of our feature length documentary The Penalty are now ON SALE! The screenings will be followed by a Q&A with the filmmakers and death penalty experts, and we're delighted to be partnering with Amnesty International UK and Dartmouth Films for these very special events. We are so excited to be able to share the film with you in the UK and look forward to opening the film in the US and beyond in the very near future! Please join us to give the film the best launch we possibly can. Is the death penalty actually a deterrent? Following recent news about Conservative Party MP Priti Patel’s support of the death penalty it is a good opportunity to look at some of the facts, and answer the question - Does the death penalty act as a deterrent to commit crimes? According to Amnesty International UK, while the number of people sentenced to death has increased, the actual number of executions fell between 2013 and 2014. The world’s five worst executioners are a familiar bunch: China, heading up the list at more than 1000+ executions in 2014, although official figures are a state secret; Iran, which officially claims 289 but sources suggest more; Saudi Arabia executed 90+, many for non-lethal offences such as ‘witchcraft’, ‘sorcery’ and ‘adultery’; Iraq, which allegedly executed 60+ people, many for terrorism related offences; and fifth place is the United States, where 35 people were executed in 2014. Indonesia is in the running for a top five place next year following the acceleration of their executions as a result of their staunch anti-drug stance, with 14 people recently executed for drug offences. Using figures from the US, as they are the most reliable, executing criminals doesn’t seem to have resulted in any significant reduction in criminal activity. In fact, US states that don’t use the death penalty actually have much lower murder rates. A significant hitch in the death penalty as a deterrence camp is that in general, deterrence is only effective when the punishment occurs directly following the crime. But, due to the long length of time between crime and punishment in capital punishment cases its effectiveness is ultimately significantly reduced. So across a number of different studies throughout different years, deterrence has never proved to be a consequence of death penalty laws. In fact, in many cases the opposite is true. A last thought is this, is it fair for someone, whatever the crime, to pay for the predicted future crimes of others, that have no connection to them? The UK’s new Minister of State at the Department for Work and Pensions supports the reintroduction of the death penalty because she believes it would be a deterrent for criminals. Despite there being no proof that capital punishment acts as a deterrent to crime, the issue is something Patel seems to have in common with her Conservative colleague Michael Gove, who as a newspaper columnist for The Times supported the return of the death penalty. Gove claimed his support was based on “respect for democracy”. The UK has traditionally been at the forefront of the anti-Capital Punishment movement, leading the charge in restricting the export of death penalty drugs to the United States, in 2011, under the direction of Liberal Democrat Vince Cable - a move the rest of the European Union followed in 2011. A country cannot be a member of the European Union and have the death penalty as a punishment, as its abolition is a condition of membership. But with an EU membership referendum seemingly on its way who knows what the future holds? On April 29, the Indonesia government’s stark anti-drugs policy reached a grisly conclusion as eight convicted drug smugglers were executed by firing squad on the Nusakambangan prison island of Indonesia. Their names were Andrew Chan and Myuran Sukumaran (both Australian), Zainal Abidin (Indonesian), Rodrigo Gularte (Brazilian), and Sylvester Obiekwe Nwolise, Raheem Agbaje Salami, Okwudili Oyatanze and Martin Anderson (all of Nigeria). The case received widespread condemnation and many last-ditch pleas by the families of the men. One woman, Filipino Mary Jane Veloso was spared at the last moment allegedly due to new developments in her case. Brazilian Gularte, 42, sentenced to death for smuggling 6kg of cocaine inside surfboards had been diagnosed with acute paranoid schizophrenia and bipolar disorder. According to family he spent most of his time in prison talking to walls, imagining ghosts or hearing voices. It has been alleged that Gularte did not understand his death sentence up until his final minutes. This is in contravention of international law which states that the accused must be aware of their punishment. Father Charlie Burrows, the Irish priest appointed as Gularte's spiritual advisor, spoke to the Brazilian for an hour and a half late into the night in an attempt to prepare him for the executions. Tragically, Burrows said Gularte remained confused: “He asked if there was a sniper outside ready to shoot him, and I said no, and whether somebody would shoot him in the car, and I said no”. Gularte was born into a wealthy Brazilian family and had been a keen surfer until his life spiralled into drug addiction and mental illness. Prior to his execution, he was strapped to a wooden plank, and Burrows was allowed to spend some final moments with him. “This is not right, I made one small mistake, and I shouldn’t have to die for it,” the Brazilian is alleged to have said. Oklahoma has authorised the use of nitrogen gas to execute death row inmates despite facing controversy following the botched execution of Clayton Lockett one year ago. All pending executions have been put on hold in Oklahoma while the Supreme Court reviews the use of lethal injections in response to the national and international outcry after the Lockett execution. Condemnation came from as high as President Obama and the United Nations. Governor Mary Fallin (R) authorised nitrogen hypoxia as a backup method if lethal injections are ruled unconstitutional or the drug cocktail shortage means lethal injection drugs are too difficult to source. Nitrogen gas works by asphyxiating the prisoner. The gas is applied through a mask or oxygen tent and is usually quick, killing the prisoner in minutes. The return to nitrogen gas marks Oklahoma as the third state in recent times to change its execution method - after Utah brought back the firing squad and Tennessee reintroduced the electric chair - both clear signs of desperation due to the lethal injection drug cocktail shortage. Despite prosecutors attempts, Boston Marathon bomber Dzhokhar Tsarnaev is unlikely to be sentenced to death, even though jurors found him guilty on all 30 counts - with 17 capital charges, carrying a possible death penalty. Tsarnaev, along with brother Tamerlan, exploded two devices on April 15, 2013, causing the deaths of three people and injuries to an estimated 264 others. The brothers escaped and allegedly killed a police officer before a large-scale manhunt ended with Tamerlan’s death and Dzhokhar’s capture. Prosecutors are seeking the death penalty for Tsarnaev: "If not in this case, then when?" former federal prosecutor Allison Burroughs told CNN. But some legal experts are saying this would be difficult in liberal Boston, which also has a large Catholic community (Pope Francis opposes capital punishment). In a poll taken in 2013, 57 per cent of respondents supported a life sentence, compared to 33 per cent in support of the death penalty for Tsarnaev. This view is echoed by a Boston Globe editorial. Another important factor is that to impose the death penalty, the jury must be unanimous in its decision – and getting all 12 jurors to agree on a death sentence for Tsarnaev will be difficult for the prosecution. Speaking to CNN, Lillian Campbell, who lost her granddaughter Krystle Campbell, said: "When they came out with this part about the death sentence ... I said, well, I don't really care what they do with them. Because whatever they do, it's not going to bring her back … I’ll never forget her, ever, no matter how much they say. Or what they do with the guy who did it. So I wouldn't wish anyone dead. I wouldn't." The American Pharmacists Association has voted to actively discourage members from supplying lethal injection drugs - further increasing the pressure on states that support the death penalty. The decision was made at the APhA annual meeting, held in San Diego on Monday, which represents some 62,000 members. Prison officials turned to compounding pharmacies to provide them with the drug cocktail required to execute prisoners following the pharmaceutical industry’s withdrawal of the supply of lethal injection drugs. These made-to-measure drugs have resulted in some botched executions in recents years. The APhA has joined the equivalent doctors, anesthesiologists and nurses associations in having ethics codes that advise or restrict member participation in executions. “Now there is unanimity among all health professions in the United States who represent anybody who might be asked to be involved in this process,” Association member Bill Fassett said. Cecil Clayton, a 74-year-old dementia-sufferer with an IQ of 71, was recently executed by the state of Missouri despite his attorney’s last-ditch pleas. His lawyers had hoped he might be spared execution due to diminished understanding - Clayton was missing a large section of his brain. In 1972, a sawmill accident resulted in a shard of wood being speared into his head. Clayton had about 20% of his frontal lobe removed (around 8% of the total brain mass). The part of the brain involved in impulse control, problem solving, and social behaviour. From that point on Clayton was plagued by his own mind; suffering from violent impulses, schizophrenia and extreme paranoia. The New York Times reports: “there was a profound change in him that he doesn’t understand”. In 1996 he shot deputy sheriff Christopher L. Castetter of Barry County, southwestern Missouri and was sentenced to death. Cecil Clayton’s last meal was fried chicken, mashed potatoes, corn, green beans and cola. New York Times March 7, 2015. We're very excited to welcome Finbarr Bunting, our new resident blogger. Here, Finn writes on the news that Utah is bringing back the firing squad. Shocking news broke that Utah signed a bill into law that’ll see firing squads brought back as a method of capital punishment - making them the only state in the US to do so. Gary Herbert, Utah’s governor, admitted he finds firing squads “gruesome” but said Utah needed an alternative method following limited supplies of lethal injection drugs. As reported previously, European legislation put a stop to the supply of the drug cocktail used in the US for lethal injection - a staunch anti-capital punishment stance that echoes UK legislation from 2010. A number of different states are looking for lethal-injection alternatives following some botched executions. Wyoming is considering the reintroduction of firing squads while Tennessee is looking at bringing back the electric chair. Worrying times indeed. On Thursday 6th November, we launched a crowd funding campaign to raise the critical resources we needed to finish filming The Penalty. 30 days later, we've had 5 launch events, 500 backers and received 136% of our goal, smashing the target. We're so appreciative. We would like to thank each and every one of your for your incredible support over the past 30 days - thanks to you we can continue making this film, something we believe has the power to be an instigator of fierce, frank debate and real change. Right, we best get preparing perks and filming schedules - see you all on the other side!